In my quest to find cocktails that utilize Luxardo Maraschino liqueur, I stumbled on a real gem: the Martinez. This subtly sweet drink gets its bite from a base of Old Tom gin, another one of my recent go-to liquors. If you’ve never had Old Tom, it’s a pre-Prohibition-era libation that’s what I assume gin would taste like in the 1920s. This old-school blend is lightly sweetened with sugar and aged in oak barrels—that’s what gives it it’s light-brown, bourbon-like color. At least that’s the case for the Ransom that I’ve been drinking. I can’t speak for many other brands, but Ransom’s Old Tom is great. But enough about good ol’ Tom. 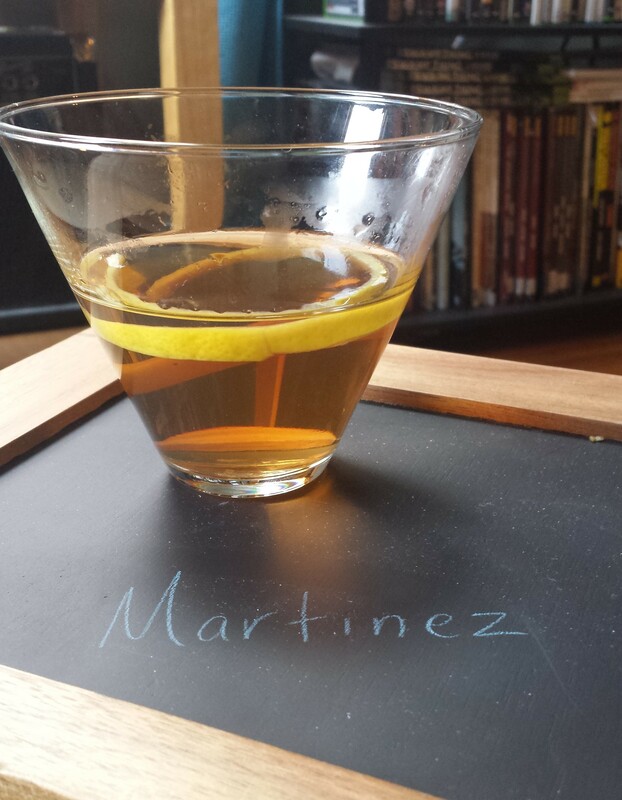 The Martinez is kind of like a Manhattan-on-steroids when you look at the components: gin that resembles bourbon, sweet vermouth, maraschino, and a dash of bitters. For cocktails like this, the kind of sweet vermouth you use can really make a difference. When I first started making cocktails, I bought the kind that you can get at nearly every grocery store: $6 Martini Rossi. Then someone suggested Dolin Vermouth de Chambéry Rouge, which runs about $13/750mL at Binny’s. 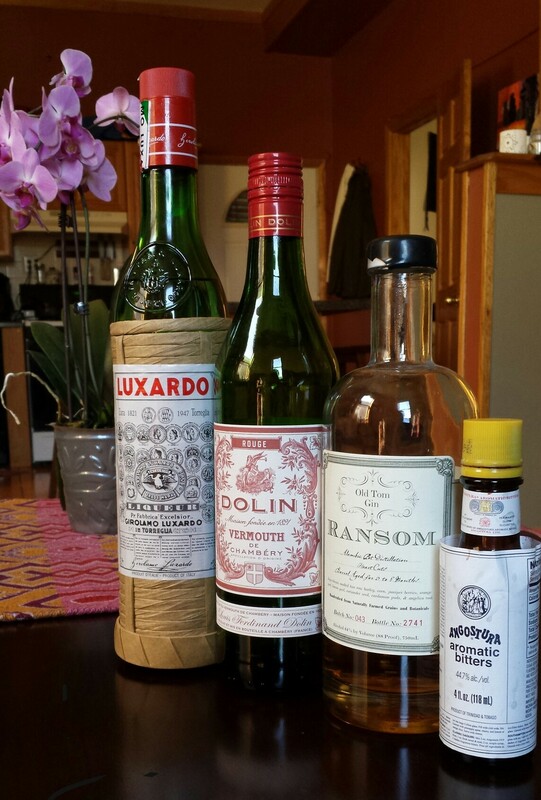 I can’t pretend to be an expert on vermouth, but what I do know is that Dolin is a lot smoother and lighter than cheaper stuff. But what really makes the Martinez so delicious is the added cherry kick of the Luxardo Maraschino. You can use less if you’re not a huge fan of cherry, but if that’s the case then you are a monster this might not be the drink for you. I, on the other hand, love me some maraschino.